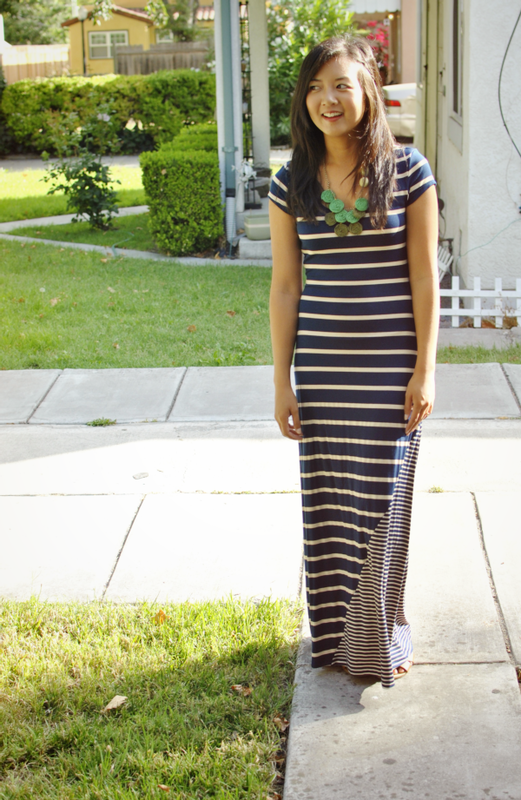 I used to shy away from wearing maxi dresses because I thought only tall girls could pull them off. So not true! I first noticed when my friend Jennifer (who’s a few inches shorter than me) wore one to lunch one day. She was rocking her baby bump and looked gorgeous. So I decided to give them a try, and now I’m in love. Their length automatically makes you look long and chic, and they’re so comfy! This one has a thick, drapey fabric that I think would look good on just about anyone. And the contrasting stripes are a fun detail. The trick is to get one that's long enough – and that's usually not a problem for us shorter girls 🙂 It's when you have that awkward show of ankle (more than an inch or two) that it breaks you up and makes you seems shorter. 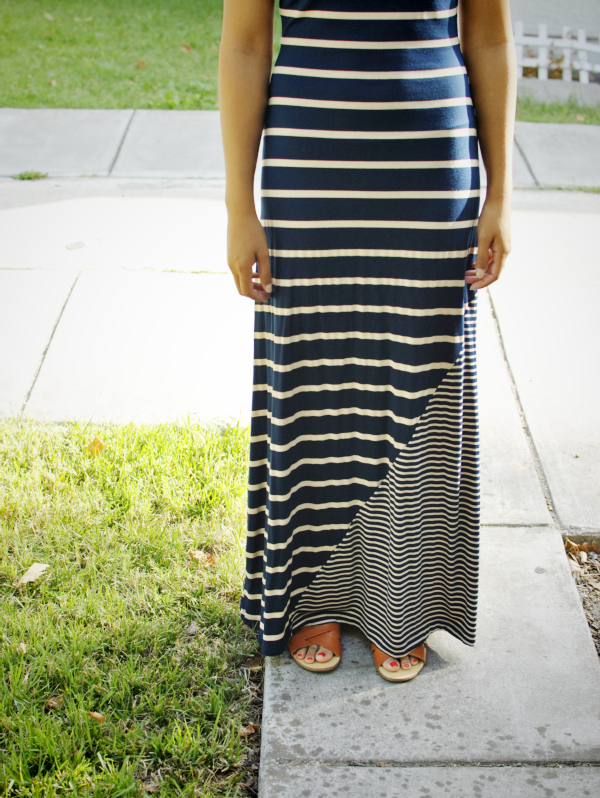 If you have a nice long maxi it really does elongate.